For a democracy that protects the rights of the individual, see Liberal democracy. For other uses, see Democracy (disambiguation) and Democrat. Democracy (Greek: δημοκρατία, Dēmokratia literally "rule of the commoners"), in modern usage, is a system of government in which the citizens exercise power directly or elect representatives from among themselves to form a governing body, such as a parliament. Democracy is sometimes referred to as "rule of the majority"." Democracy was originally conceived in Classical Greece, where political representatives were chosen by a jury from amongst the male citizens: rich and poor. In the 5th century BC, to denote the political systems then existing in Greek city-states, notably Athens, the term is an antonym to aristocracy (ἀριστοκρατία, aristokratía), meaning "rule of an elite". While theoretically these definitions are in opposition, in practice the distinction has been blurred historically. The political system of Classical Athens, for example, granted democratic citizenship to free men and excluded slaves and women from political participation. In virtually all democratic governments throughout ancient and modern history, democratic citizenship consisted of an elite class until full enfranchisement was won for all adult citizens in most modern democracies through the suffrage movements of the 19th and 20th centuries. The English word dates to the 16th century, from the older Middle French and Middle Latin equivalents. One theory holds that democracy requires three fundamental principles: (1) upward control, i.e. sovereignty residing at the lowest levels of authority, (2) political equality, and (3) social norms by which individuals and institutions only consider acceptable acts that reflect the first two principles of upward control and political equality. Majority rule is often listed as a characteristic of democracy. Hence, democracy allows for political minorities to be oppressed by the "tyranny of the majority" in the absence of legal protections of individual or group rights. An essential part of an "ideal" representative democracy is competitive elections that are substantively and procedurally "fair," i.e., just and equitable. In some countries, freedom of political expression, freedom of speech, and freedom of the press are considered important to ensure that voters are well informed enabling them to vote according to their own interests. The term "democracy" first appeared in ancient Greek political and philosophical thought in the city-state of Athens during classical antiquity. Led by Cleisthenes, Athenians established what is generally held as the first democracy in 508–507 BC. 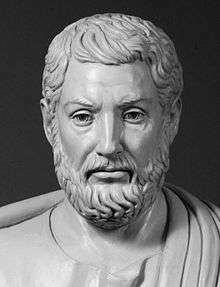 Cleisthenes is referred to as "the father of Athenian democracy." Etymology: the word comes from demos, "common people" and kratos, strength. Athenian democracy took the form of a direct democracy, and it had two distinguishing features: the random selection of ordinary citizens to fill the few existing government administrative and judicial offices, and a legislative assembly consisting of all Athenian citizens. All eligible citizens were allowed to speak and vote in the assembly, which set the laws of the city state. However, Athenian citizenship excluded women, slaves, foreigners (μέτοικοι / métoikoi), non-landowners, and males under 20 years old. Range voting appeared in Sparta as early as 700 BC. The Apella was an assembly of the people, held once a month, in which every male citizen of age 30 and above could participate. In the Apella, Spartans elected leaders and cast votes by range voting and shouting. Aristotle called this "childish", as compared with the stone voting ballots used by the Athenians. Sparta adopted it because of its simplicity, and to prevent any bias voting, buying, or cheating that was predominant in the early democratic elections. The Kouroukan Fouga divided the Mali Empire into ruling clans (lineages) that were represented at a great assembly called the Gbara. However, the charter made Mali more similar to a constitutional monarchy than a democratic republic. A little closer to modern democracy were the Cossack republics of Ukraine in the 16th and 17th centuries: Cossack Hetmanate and Zaporizhian Sich. The highest post – the Hetman – was elected by the representatives from the country's districts. During the early modern period, the power of the Parliament of England continually increased. Passage of the Petition of Right in 1628 and Habeas Corpus Act in 1679 established certain liberties and remain in effect. The idea of a political party took form with groups freely debating rights to political representation during the Putney Debates of 1647. After the English Civil Wars (1642–1651) and the Glorious Revolution of 1688, the Bill of Rights was enacted in 1689, which codified certain rights and liberties, and is still in effect. The Bill set out the requirement for regular elections, rules for freedom of speech in Parliament and limited the power of the monarch, ensuring that, unlike much of Europe at the time, royal absolutism would not prevail. The first Parliament of Great Britain was established in 1707, after the merger of the Kingdom of England and the Kingdom of Scotland under the Acts of Union. Although the monarch increasingly became a figurehead, only a small minority actually had a voice; Parliament was elected by only a few percent of the population (less than 3% as late as 1780). During the Age of Liberty in Sweden (1718-1772), civil rights were expanded and power shifted from the monarch to parliament. The taxed peasantry was represented in parliament, although with little influence, but commoners without taxed property had no suffrage. In 1789, Revolutionary France adopted the Declaration of the Rights of Man and of the Citizen and, although short-lived, the National Convention was elected by all males in 1792. However, in the early 19th century, little of democracy - as theory, practice, or even as word - remained in the North Atlantic world. The United Kingdom's Slave Trade Act 1807 banned the trade across the British Empire, which was enforced internationally by the Royal Navy under treaties Britain negotiated with other nations. As the voting franchise in the U.K. was increased, it also was made more uniform in a series of reforms beginning with the Reform Act 1832. In 1833, the United Kingdom passed the Slavery Abolition Act which took effect across the British Empire. In the 1860 United States Census, the slave population in the United States had grown to four million, and in Reconstruction after the Civil War (late 1860s), the newly freed slaves became citizens with a nominal right to vote for men. Full enfranchisement of citizens was not secured until after the African-American Civil Rights Movement (1955–1968) gained passage by the United States Congress of the Voting Rights Act of 1965. 20th-century transitions to liberal democracy have come in successive "waves of democracy", variously resulting from wars, revolutions, decolonisation, and religious and economic circumstances. World War I and the dissolution of the Ottoman and Austro-Hungarian empires resulted in the creation of new nation-states from Europe, most of them at least nominally democratic. Economic malaise in the 1980s, along with resentment of Soviet oppression, contributed to the collapse of the Soviet Union, the associated end of the Cold War, and the democratisation and liberalisation of the former Eastern bloc countries. 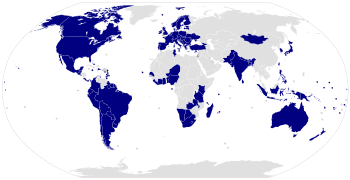 The most successful of the new democracies were those geographically and culturally closest to western Europe, and they are now members or candidate members of the European Union. In 2007 the United Nations declared September 15 the International Day of Democracy. India is the world's largest democracy consisting of a population of 1.24 billion. The electorate added up to 714 million for the 2009 national election. 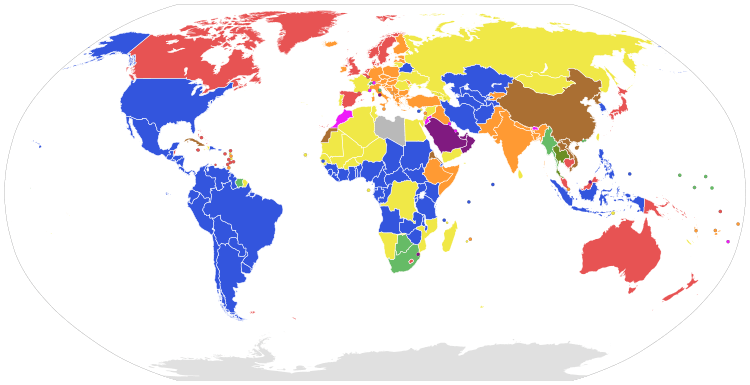 Freedom of the Press published each year since 1980 by Freedom House. MaxRange, a dataset defining level of democracy and institutional structure(regime-type) on a 100-graded scale where every value represents a unique regime type. Values are sorted from 1-100 based on level of democracy and political accountability. MaxRange defines the value corresponding to all states and every month from 1789 to 2015 and updating. MaxRange is created and developed by Max Range, and is now associated with the university of Halmstad, Sweden. Within modern-day representative governments, certain electoral tools like referendums, citizens' initiatives and recall elections are referred to as forms of direct democracy. 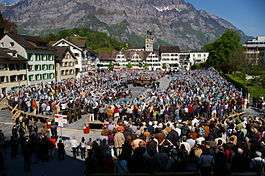 Direct democracy as a government system currently exists in the Swiss cantons of Appenzell Innerrhoden and Glarus, and kurdish cantons of Rojava. Élite upper houses of legislatures, which often had lifetime or hereditary tenure, were common in many nations. Over time, these either had their powers limited (as with the British House of Lords) or else became elective and remained powerful (as with the Australian Senate). The Founding Fathers of the United States rarely praised and often criticised democracy, which in their time tended to specifically mean direct democracy, often without the protection of a constitution enshrining basic rights; James Madison argued, especially in The Federalist No. 10, that what distinguished a democracy from a republic was that the former became weaker as it got larger and suffered more violently from the effects of faction, whereas a republic could get stronger as it got larger and combats faction by its very structure. Anarcho-capitalists, voluntaryists and other right-anarchists oppose institutional democracy as they consider it in conflict with widely held moral values and ethical principles and their conception of individual rights. The a priori Rothbardian argument is that the state is a coercive institution which necessarily violates the non-aggression principle (NAP). Some right-anarchists also criticise democracy on a posteriori consequentialist grounds, in terms of inefficiency or disability in bringing about maximisation of individual liberty. They maintain the people who participate in democratic institutions are foremost driven by economic self-interest. A consensus democracy, in contrast, would not be dichotomous. Instead, decisions would be based on a multi-option approach, and policies would be enacted if they gained sufficient support, either in a purely verbal agreement, or via a consensus vote - a multi-option preference vote. If the threshold of support were at a sufficiently high level, minorities would be as it were protected automatically. Furthermore, any voting would be ethno-colour blind. Creative Democracy is advocated by American philosopher John Dewey. The main idea about Creative Democracy is that democracy encourages individual capacity building and the interaction among the society. Dewey argues that democracy is a way of life in his work of ""Creative Democracy: The Task Before Us"  and an experience built on faith in human nature, faith in human beings, and faith in working with others. Democracy, in Dewey's view, is a moral ideal requiring actual effort and work by people; it is not an institutional concept that exists outside of ourselves. "The task of democracy", Dewey concludes, "is forever that of creation of a freer and more humane experience in which all share and to which all contribute". Aside from the public sphere, similar democratic principles and mechanisms of voting and representation have been used to govern other kinds of groups. 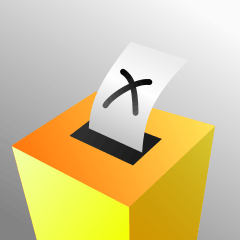 Many non-governmental organisations decide policy and leadership by voting. Most trade unions and cooperatives are governed by democratic elections. Corporations are controlled by shareholders on the principle of one share, one vote. An analogous system, that fuses elements of democracy with sharia law, has been termed islamocracy. Aristotle contrasted rule by the many (democracy/polity), with rule by the few (oligarchy/aristocracy), and with rule by a single person (tyranny or today autocracy/absolute monarchy). He also thought that there was a good and a bad variant of each system (he considered democracy to be the degenerate counterpart to polity). Governments will tend to produce laws and policies that are close to the views of the median voter – with half to their left and the other half to their right. This is not actually a desirable outcome as it represents the action of self-interested and somewhat unaccountable political elites competing for votes. Anthony Downs suggests that ideological political parties are necessary to act as a mediating broker between individual and governments. Downs laid out this view in his 1957 book An Economic Theory of Democracy. Deliberative democracy is based on the notion that democracy is government by deliberation. Unlike aggregative democracy, deliberative democracy holds that, for a democratic decision to be legitimate, it must be preceded by authentic deliberation, not merely the aggregation of preferences that occurs in voting. Authentic deliberation is deliberation among decision-makers that is free from distortions of unequal political power, such as power a decision-maker obtained through economic wealth or the support of interest groups. If the decision-makers cannot reach consensus after authentically deliberating on a proposal, then they vote on the proposal using a form of majority rule. Some economists have criticized the efficiency of democracy. They base this on their premise of the irrational voter. Their argument is that voters are highly uninformed about many political issues, especially relating to economics, and have a strong bias about the few issues on which they are fairly knowledgeable. A common example often quoted to substantiate this point is the high economic development achieved by China (a non-democratic country) as compared to India (a democratic country). More recently, democracy is criticised for not offering enough political stability. As governments are frequently elected on and off there tends to be frequent changes in the policies of democratic countries both domestically and internationally. Even if a political party maintains power, vociferous, headline grabbing protests and harsh criticism from the mass media are often enough to force sudden, unexpected political change. Frequent policy changes with regard to business and immigration are likely to deter investment and so hinder economic growth. For this reason, many people have put forward the idea that democracy is undesirable for a developing country in which economic growth and the reduction of poverty are top priorities. Post-Enlightenment ideologies such as fascism, nazism, and neo-fundamentalism oppose democracy on different grounds, generally citing that the concept of democracy as a constant process is flawed and detrimental to a preferable course of development. Several philosophers and researchers have outlined historical and social factors seen as supporting the evolution of democracy. Cultural factors like Protestantism influenced the development of democracy, rule of law, human rights and political liberty (the faithful elected priests, religious freedom and tolerance has been practiced). Other commentators have mentioned the influence of wealth (e.g. S. M. Lipset, 1959). In a related theory, Ronald Inglehart suggests that improved living-standards can convince people that they can take their basic survival for granted, leading to increased emphasis on self-expression values, which is highly correlated to democracy. Carroll Quigley concludes that the characteristics of weapons are the main predictor of democracy: Democracy tends to emerge only when the best weapons available are easy for individuals to buy and use. By the 1800s, guns were the best personal weapons available, and in America, almost everyone could afford to buy a gun, and could learn how to use it fairly easily. Governments couldn't do any better: it became the age of mass armies of citizen soldiers with guns Similarly, Periclean Greece was an age of the citizen soldier and democracy. Recent theories stress the relevance of education and of human capital - and within them of cognitive ability to increasing tolerance, rationality, political literacy and participation. Two effects of education and cognitive ability are distinguished: a cognitive effect (competence to make rational choices, better information-processing) and an ethical effect (support of democratic values, freedom, human rights etc. ), which itself depends on intelligence. Evidence that is consistent with conventional theories of why democracy emerges and is sustained has been hard to come by. Recent statistical analyses have challenged modernisation theory by demonstrating that there is no reliable evidence for the claim that democracy is more likely to emerge when countries become wealthier, more educated, or less unequal. Neither is there convincing evidence that increased reliance on oil revenues prevents democratisation, despite a vast theoretical literature on "the Resource Curse" that asserts that oil revenues sever the link between citizen taxation and government accountability, seen as the key to representative democracy. The lack of evidence for these conventional theories of democratisation have led researchers to search for the "deep" determinants of contemporary political institutions, be they geographical or demographic. Robert Michels asserts that although democracy can never be fully realised, democracy may be developed automatically in the act of striving for democracy: "The peasant in the fable, when on his death-bed, tells his sons that a treasure is buried in the field. After the old man's death the sons dig everywhere in order to discover the treasure. They do not find it. But their indefatigable labor improves the soil and secures for them a comparative well-being. The treasure in the fable may well symbolise democracy." Dr. Harald Wydra, in his book Communism and The Emergence of Democracy (2007), maintains that the development of democracy should not be viewed as a purely procedural or as a static concept but rather as an ongoing "process of meaning formation". Drawing on Claude Lefort's idea of the empty place of power, that "power emanates from the people [...] but is the power of nobody", he remarks that democracy is reverence to a symbolic mythical authority as in reality, there is no such thing as the people or demos. Democratic political figures are not supreme rulers but rather temporary guardians of an empty place. Any claim to substance such as the collective good, the public interest or the will of the nation is subject to the competitive struggle and times of for gaining the authority of office and government. The essence of the democratic system is an empty place, void of real people which can only be temporarily filled and never be appropriated. The seat of power is there, but remains open to constant change. As such, what "democracy" is or what is "democratic" progresses throughout history as a continual and potentially never ending process of social construction. In 2010 a study by a German military think-tank analyzed how peak oil might change the global economy. The study raises fears for the survival of democracy itself. It suggests that parts of the population could perceive the upheaval triggered by peak oil as a general systemic crisis. This would create "room for ideological and extremist alternatives to existing forms of government". ↑ "Democracy - Definition of Democracy by Merriam-Webster". ↑ Diamond, L., Lecture at Hilla University for Humanistic Studies January 21, 2004: "What is Democracy"; Diamond, L. and Morlino, L., The quality of democracy (2016). In Diamond, L., In Search of Democracy. London: Routledge. ISBN 978-0-415-78128-2. ↑ Kimber, Richard (September 1989). "On democracy". Scandinavian Political Studies. Wiley. 12 (3): 201, 199–219. doi:10.1111/j.1467-9477.1989.tb00090.x. Full text. 1 2 Kopstein, Jeffrey; Lichbach, Mark; Hanson, Stephen E., eds. (2014). Comparative Politics: Interests, Identities, and Institutions in a Changing Global Order (4, revised ed.). Cambridge University Press. pp. 37–9. ISBN 1139991388. ↑ Kelsen, Hans (October 1955). "Foundations of democracy". Ethics, special issue: Part 2: Foundations of Democracy. Chicago Journals. 66 (1): 1–101. doi:10.1086/291036. JSTOR 2378551. ↑ "Full historical description of the Spartan government". Rangevoting.org. Retrieved 2013-09-28. ↑ "Ancient Rome from the earliest times down to 476 A.D". Annourbis.com. Retrieved 2010-08-22. ↑ "The January Parliament and how it defined Britain". The Telegraph. 20 January 2015. Retrieved 28 January 2015. ↑ "Constitutionalism: America & Beyond". Bureau of International Information Programs (IIP), U.S. Department of State. Retrieved 30 October 2014. The earliest, and perhaps greatest, victory for liberalism was achieved in England. The rising commercial class that had supported the Tudor monarchy in the 16th century led the revolutionary battle in the 17th, and succeeded in establishing the supremacy of Parliament and, eventually, of the House of Commons. What emerged as the distinctive feature of modern constitutionalism was not the insistence on the idea that the king is subject to law (although this concept is an essential attribute of all constitutionalism). This notion was already well established in the Middle Ages. What was distinctive was the establishment of effective means of political control whereby the rule of law might be enforced. Modern constitutionalism was born with the political requirement that representative government depended upon the consent of citizen subjects.... However, as can be seen through provisions in the 1689 Bill of Rights, the English Revolution was fought not just to protect the rights of property (in the narrow sense) but to establish those liberties which liberals believed essential to human dignity and moral worth. The "rights of man" enumerated in the English Bill of Rights gradually were proclaimed beyond the boundaries of England, notably in the American Declaration of Independence of 1776 and in the French Declaration of the Rights of Man in 1789. ↑ Tocqueville, Alexis de (2003). 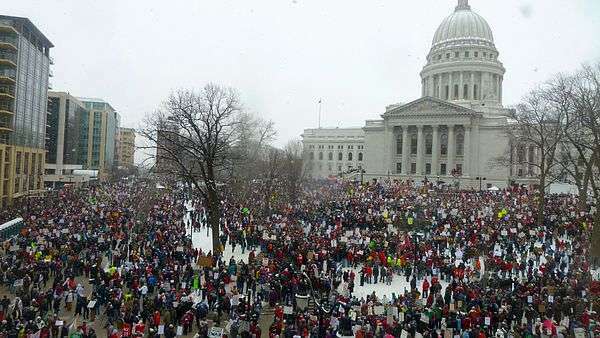 Democracy in America. USA: Barnes & Noble. pp. 11, 18-19. ISBN 0-7607-5230-3. ↑ "Getting the vote". The National Archives. Retrieved 2010-08-22. ↑ Gregory, Desmond (1985). The ungovernable rock: a history of the Anglo-Corsican Kingdom and its role in Britain's Mediterranean strategy during the Revolutionary War, 1793-1797. London: Fairleigh Dickinson University Press. p. 31. ISBN 0-8386-3225-4. ↑ Jacqueline Newmyer, "Present from the start: John Adams and America", Oxonian Review of Books, 2005, vol 4 issue 2 Archived November 26, 2013, at the Wayback Machine. ↑ "Expansion of Rights and Liberties - The Right of Suffrage". Online Exhibit: The Charters of Freedom. National Archives. Retrieved 21 April 2015. ↑ "The French Revolution II". Mars.wnec.edu. Retrieved 2010-08-22. ↑ French National Assembly. "1848 " Désormais le bulletin de vote doit remplacer le fusil "". Retrieved 2009-09-26. ↑ "Introduction – Social Aspects of the Civil War". Itd.nps.gov. Retrieved 2010-08-22. ↑ "Did the United States Create Democracy in Germany? : The Independent Review: The Independent Institute". Independent.org. Retrieved 2010-08-22. ↑ "World | South Asia | Country profiles | Country profile: India". BBC News. 2010-06-07. Retrieved 2010-08-22. ↑ "Tables and Charts". Freedomhouse.org. 2004-05-10. Archived from the original on 22 January 2010. Retrieved 2010-08-22. ↑ "General Assembly declares 15 September International Day of Democracy; Also elects 18 Members to Economic and Social Council". Un.org. Retrieved 2010-08-22. ↑ Glenday, Craig (2013). Guinness Book of world records 2014. ISBN 9781908843159. 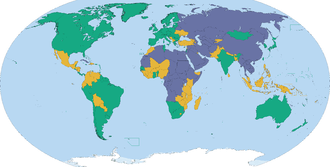 1 2 Freedom in the World 2015, Freedom House. Retrieved 6 April 2015. ↑ "HUMAN RIGHTS IN 2011: THE CIRI REPORT". CIRI Human Rights Data Project. August 29, 2013. ↑ Bernard Manin. Principles of Representative Government. pp. 8-11 (1997). ↑ "Radical Revolution - The Thermidorean Reaction". Wsu.edu. 1999-06-06. Archived from the original on 1999-02-03. Retrieved 2010-08-22. ↑ Urbinati, Nadia (October 1, 2008). "2". Representative Democracy: Principles and Genealogy. ISBN 978-0226842790. ↑ Fenichel Pitkin, Hanna (September 2004). "Representation and democracy: uneasy alliance". Scandinavian Political Studies. Wiley. 27 (3): 335–342. doi:10.1111/j.1467-9477.2004.00109.x. ↑ Aristotle. "Ch.9". Politics. Book 4. ↑ "Article on direct democracy by Imraan Buccus". Themercury.co.za. Archived from the original on 17 January 2010. Retrieved 2010-08-22. ↑ "Republic – Definition from the Merriam-Webster Online Dictionary". M-w.com. 2007-04-25. Retrieved 2010-08-22. ↑ "The Founders' Constitution: Volume 1, Chapter 18, Introduction, "Epilogue: Securing the Republic"". Press-pubs.uchicago.edu. Retrieved 2010-08-22. ↑ "Article on Cosmopolitan democracy by Daniele Archibugi" (PDF). Archived from the original (PDF) on 25 July 2011. Retrieved 2010-08-22. ↑ Tibi, Bassam (2013). The Sharia State: Arab Spring and Democratization. p. 161. ↑ "Aristotle, The Politics". Humanities.mq.edu.au. Retrieved 2010-08-22. 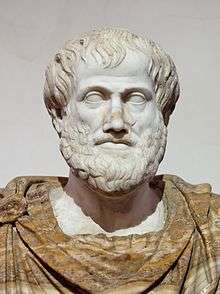 ↑ "Aristotle - Internet Encyclopedia of Philosophy". ↑ Springer, Simon (2011). "Public Space as Emancipation: Meditations on Anarchism, Radical Democracy, Neoliberalism and Violence". Antipode. 43 (2): 525–562. doi:10.1111/j.1467-8330.2010.00827.x. ↑ Joshua Cohen, "Deliberation and Democratic Legitimacy" in Essays on Reason and Politics: Deliberative Democracy Ed. James Bohman and William Rehg (The MIT Press: Cambridge) 1997, 72-73. ↑ "Head to head: African democracy". BBC News. 2008-10-16. Retrieved 2010-04-01. 1 2 3 4 Paul Collier (2009-11-08). "5 myths about the beauty of the ballot box". Washington Post. Washington Post. pp. B2. ↑ Glaeser, E.; Ponzetto, G.; Shleifer, A. (2007). "Why does democracy need education?". Journal of Economic Growth. 12 (2): 77–99. doi:10.1007/s10887-007-9015-1. ↑ Deary, I. J.; Batty, G. D.; Gale, C. R. (2008). "Bright children become enlightened adults". Psychological Science. 19 (1): 1–6. doi:10.1111/j.1467-9280.2008.02036.x. ↑ Rindermann, H (2008). "Relevance of education and intelligence for the political development of nations: Democracy, rule of law and political liberty". Intelligence. 36 (4): 306–322. doi:10.1016/j.intell.2007.09.003. ↑ Albertus, Michael; Menaldo, Victor (2012). "Coercive Capacity and the Prospects for Democratisation". Comparative Politics. 44 (2): 151–169. doi:10.5129/001041512798838003. 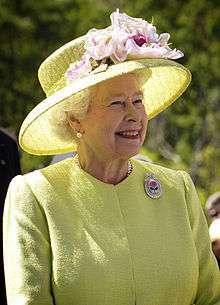 ↑ Farrelly, Elizabeth (2011-09-15). "Deafened by the roar of the crowd". The Sydney Morning Herald. Retrieved 2011-09-17. ↑ Harald Wydra, Communism and the Emergence of Democracy, Cambridge: Cambridge University Press, 2007, pp.22-27. Griswold, Daniel. (2007). "Trade, Democracy and Peace: The Virtuous Cycle". Archived from the original on 2007-09-28. Retrieved 2007-08-09. "Democracy Conference". Innertemple.org.uk. Archived from the original on 2010-05-28.